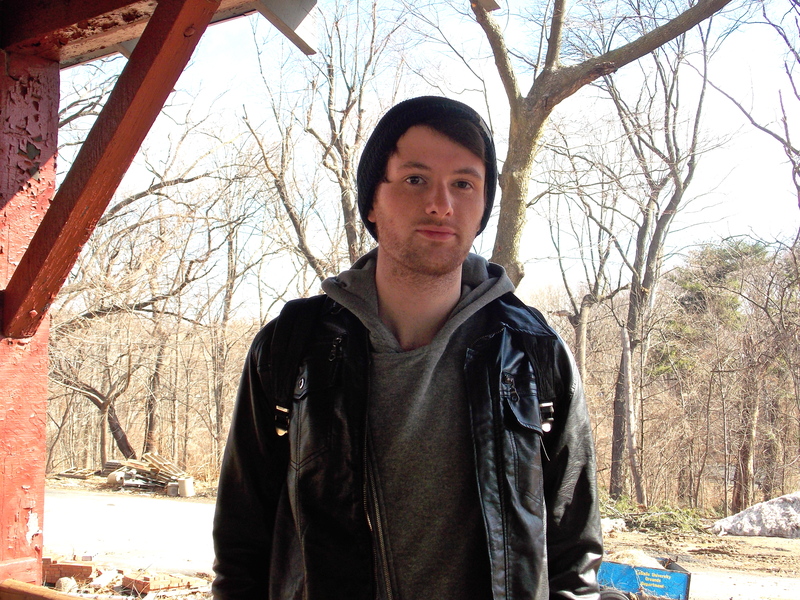 I am a senior at La Salle University studying communication with a concentration in journalism. As a student-athlete, nutrition is an important part of my daily routine, using food as my fuel for competitive swimming. This blog will track and analyze nutrition options in the Germantown area. I enjoy being active (swimming, running, biking, hiking). My home will always be along the coast of Maine, where the mountains meet the sea. Where can we access nutritious food in Germantown? Exploring Nutrition students from La Salle University unload groceries at St. Anthanasius Parish. Fresh Grocer teamed up with La Salle University’s Exploring Nutrition initiative to deliver food for Easter food drives to churches such as St. Anthanasius, which is located at 2050 E Walnut Lane. Hill expressed the significance of having a grocery store that is willing to help the people in its community, and how helpful it is. The food was delivered for the food pantry to open at 2:00 PM. Within ten minutes, the food was gone. The Germantown community was once considered a food desert. Until grocery stores such as Fresh Grocer and Bottom Dollar Foods was established along Chew Avenue, there was very limited access to fresh produce in the community. Walking into a “Deli Grocery” corner store, I wonder how much fresh “grocery” supplies are inside. Lining the two aisles inside are shelves filled with canned goods and processed foods. The only fresh produce to be seen are the limited amounts of tomatoes and lettuce behind the deli counter in the back, and a bin of potatoes hidden in a corner of the store. According to Dr. Henstenburg, Director of the Didactic Program in Nutrition at La Salle, food insecurity is a crucial issue in areas such as Germantown. “The definition involves people having physical and economic status to food… whether or not you can bring enough food into the house to feed your family comfortably and in a culturally appropriate way,” said Henstenburg. The food drive is a step in the right direction. Barbara Roberts, director of Family and Social Services, explained the struggles people face in a diverse neighborhood such as Germantown. Roberts stated that the neighborhood is mixed- senior citizens, people who receive food stamps, working mother’s who are ineligible for food stamps, single middle-aged men who are unemployed. The food pantries at churches save them by allowing people to come in and pick up bags of food. 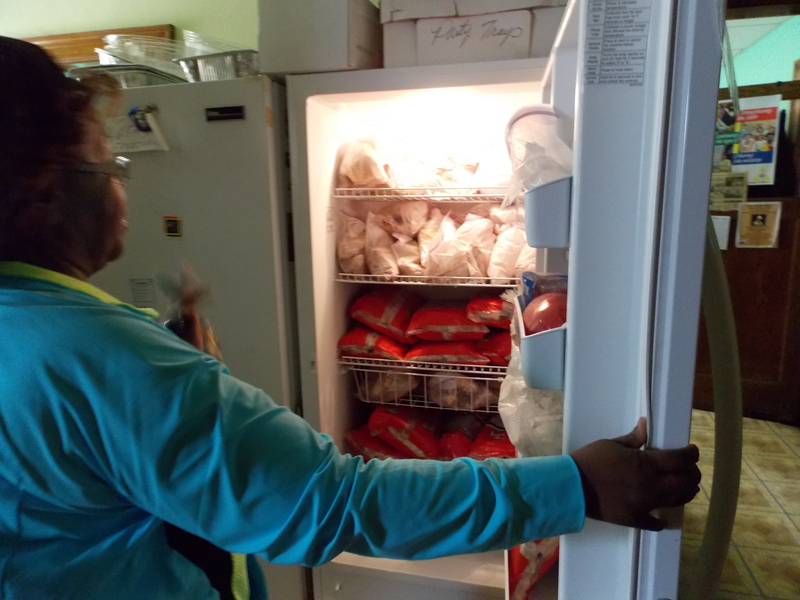 Barbara Roberts shows us some of the food stored at the church. Roberts said the food pantry provides dry goods, canned goods, and meat. “We aren’t able to get and give out fresh food. When Fresh Grocer called and asked if we wanted to be involved [with the food drive], we jumped on it because of how successful it was last year,” said Roberts. According to Community Health Database, people who live in the 19138 and 19141 area codes of Philadelphia are not getting enough access to fruits and vegetables. Sixty-one percent of citizens in the neighborhood eat 0-2 servings of fruits and vegetables. This lack of access to proper nutritious food in the neighborhood leads to the issues involving obesity and overall health. “Genetics loads the gun, Environment pulls the trigger,” said Dr. Dr. Edie Goldbacher, a professor of psychology at La Salle University. Goldbacher’s research interests have focused on weight- and eating-related concerns. In particular, she is interested in the construct of emotional eating and its association with weight change and psychological well-being. How has the community provided feedback for food drives through St. Anthanasius? The food drives during the holidays indicate the need in Germantown. With limited options and lower class families in the area, the Exploring Nutrition project is continuing to find ways to bring fresh food to the neighborhood, and teach people the importance of proper nutrition. 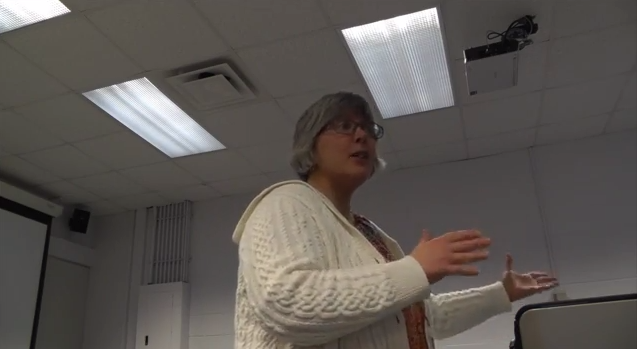 Here is a video following the Exploring Nutrition project efforts to bring fresh produce to the Germantown community. Dr. Jule Anne Henstenburg has been Director of the Didactic Program in Nutrition at La Salle since the start of the Program in 1999 and was Founding Director of La Salle’s Coordinated Program in Dietetics in 2003. Her research interests focus on the use of qualitative methods for the study of food access in low income, urban neighborhoods. A food desert, which is what Germantown was before Fresh Grocer and Bottom Dollar Foods opened, is an area where fresh healthy food is not readily available. Henstenburg explained how nutritionists are more and more in school systems and supermarkets in various areas, helping people in the community make healthier food choices. “People who eat more fruit and vegetables are much healthier,” said Henstenburg. The issue is centered food security and hunger. Thus, food insecurity is when people do not have economic or physical access to food; people cannot meet their daily food needs. This leads to culturally inappropriate ways to get food, such as “dumpster diving” for left over food or stealing. Hunger goes together with food insecurity; hunger is a physiologic issue, the feeling of painful sensations from lack of food. “In my personal opinion as a nutritionist, this is a big problem,” said Henstenburg. It’s not that our government does not try. As a result of the Great Depression, the FOOD STAMPS Supplemental Nutrition Assistance Programs (SNAP) started in the 1930s. The Farm Bill is also a massive piece of legislation that deals with farming in the United States. However, the problem is in the amount of benefits people receive through the SNAP program. The average SNAP benefit for people in the United States (4 person family) gets $32/month (dropped since November 2013). Lack of access is the primary cause, but a solution that has come up frequently is that people need to make more money or there needs to be cheaper healthy produce. If the minimum wage is raised to ten dollars, it will give people the ability to afford healthy food, health care, and proper living. Another solution is to support local farmers. Henstenburg said that Farmer’s Markets are very popular in finding good quality, fresh produce. “It’s a small step that can take us really far,” said Henstenburg. Dr. Goldbacher presents on weight loss. When it comes to maintaining a healthy weight, many people argue over the real causes of obesity. La Salle University’s Community Psychological Services is striving to help people in the Germantown community get on the right track towards healthy, nutritious living. Dr. Edie Goldbacher, a professor of psychology at La Salle University, is helping the clinic tackle the issue. She emphasizes the debate of what causes obesity, and how it is a battle of nature vs. nurture. “Genetics loads the gun, Environment pulls the trigger,” said Goldbacher, who’s research interests have focused on weight- and eating-related concerns. In particular, she is interested in the construct of emotional eating and its association with weight change and psychological well-being. 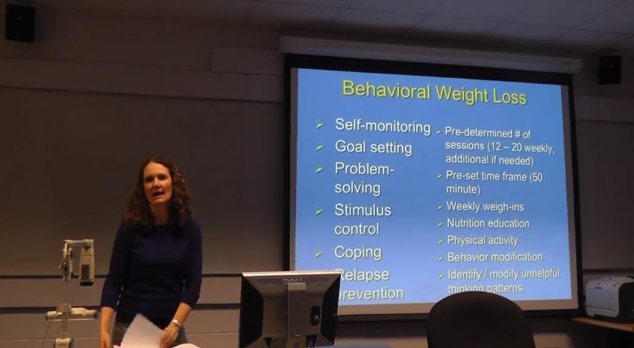 Goldbacher supervises a clinic team in the doctoral program which focuses on weight management and disordered eating. The clinic is held in St. Benilde Tower at La Salle University, and is open to the community. Are these conscious choices that people are making? Goldbacher and the clinic at La Salle are demonstrating that: helping others overcome the struggle of obesity and malnutrition. To enter the program, people interested in changing their eating habits interview a student clinician to learn more about what difficulties they’re having. They then transition into working with someone individually who will help them change their eating patterns. The goal is to change the way people thing about eating, and psychology helps understand the source of the problem. Goldbacher stated that approximately 1-5% of the population binge eat. La Salle University’s Community Psychological Services: Healthy Eating, Healthy Weight Clinic is low cost, sliding scale services. They provide individualized services concerning eating difficulties, and strive to improve treatment options, availability and outcomes. To learn more about obesity, nutrition, and other health and wight related issues, visit http://yaleruddcenter.org/ where you can find many publications on the issue. What’s the most popular food in Germantown? 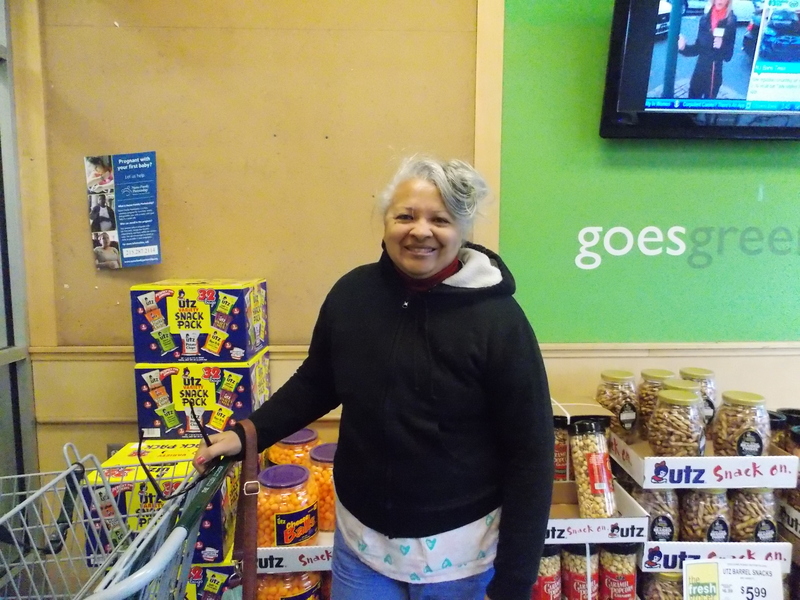 Ms. Joanne, who does her grocery shopping at Fresh Grocer in Germantown. In order to find out where people like to eat in Germantown, I went out into the community and asked people where they get their groceries, and the most popular places to dine. Here is what I discovered. Ben lives on Logan Street in Germantown. One of the proposed nutrition labels. In a proposal released on February 27, 2014 by the Food and Drug Administration, updates will be made to nutrition labeling on food packages for the first time in over two decades. Americans may be in for a shock when they see what they are consuming. On labels, what is considered a serving size will be larger, the type used to display calories will get bolder and added sugars will have to be listed on about 700,000 consumer products. It is hoped the new nutrition labels will be put into effect over the next two years, giving food companies time to adopt the new food labels. One of the most significant changes in the proposal will be changing the serving sizes listed on nutrition facts. Since people eat more than what is considered one serving on current labels, portions will be larger to indicate the greater amount of calories being consumed. However, this clearly is a necessary wake up call for Americans, and will help conquer obesity throughout the nation. Cuts in food stamp program: is it fair? If the U.S. Senate approves and the president signs an agriculture bill that further trips food stamps, the Supplemental Nutrition Assistance Program will cut $8 billion over 10 years. According to an article published in the Allentown Morning News called “Putting the squeeze on food banks,” The Lehigh Valley’s food banks already have higher demands for service. Congressman Charlie Den, a Republican, feels the cuts are necessary, while Congressman Matt Cartwright, a Democrat, is against the farm bill. Advocates of cutting the SNAP subsidy have argued charities can fill the gaps, however the Coalition Against Hunger disagrees. Food banks and other charities have already struggled to supply enough food, and it is fairing much worse in bigger cities such as New York City. Germantown has often been viewed as a food desert. In October, Bottom Dollar Food was opened along Chew Avenue, which has been a blessing for many of the people who live in the community. However, many people still struggle to afford a meal, and with the cuts in the food stamp program, Pennsylvania will most likely see a serious impact, especially in Philadelphia. What do you think? Is the benefit to cut food stamps of greater importance than how it will impact low-income citizens? Exploring and supporting nutrition in the Germantown area of Philadelphia.